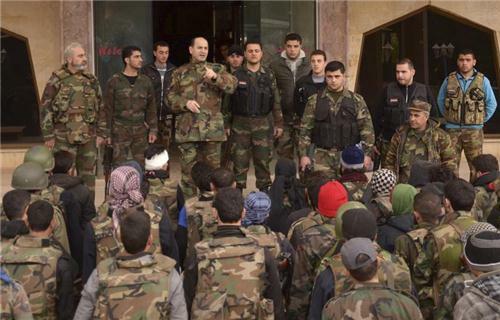 ISTANBUL, March 28 (Reuters) - Turkey has deported at least 600 Syrians staying at a refugee camp near the border after clashes with Turkish military police in a protest over living conditions, a Turkish official said on Thursday. "These people were involved in yesterday's violence, they were seen by the security cameras in the camp," an official in the camp told Reuters by telephone. "Between 600 and 700 have been deported. 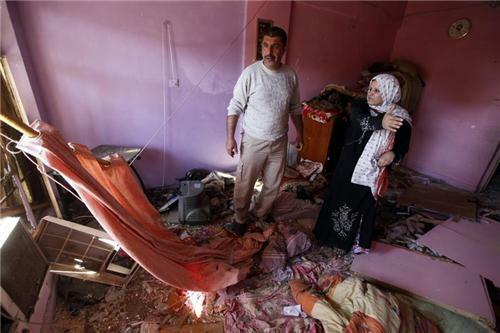 The security forces are still looking at the footage, and if they see more they will deport them." 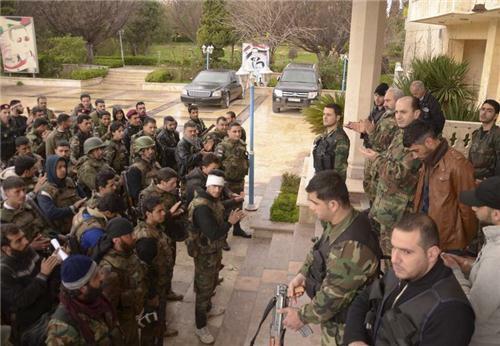 World Wrap: Jailed Kurd rebel leader declares ceasefire with Turkey, Obama gets cool welcome in the West Bank, and euro zone leaders bemoan the Cyprus mess. Read more on today's top stories here. AMSTERDAM, March 21 (Reuters) - The Hague-based chemical weapons regulator has been asked to assist the United Nations in an investigation into a possible attack in Syria, it said in a statement on Thursday. The Organisation for the Prohibition of Chemical Weapons (OPCW) said the allegations were serious and it would comply with the request. The collapse of the International Criminal Court's case against an ally of Kenya's president-elect Uhuru Kenyatta is the latest blow to a tribunal under close scrutiny for securing just one conviction since it was set up more than a decade ago. 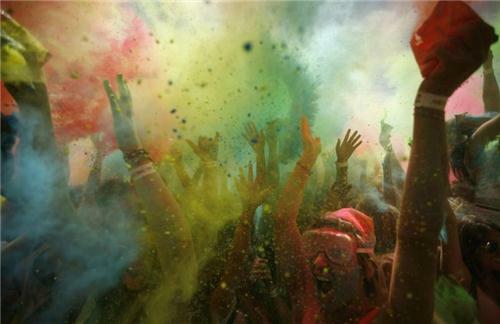 Get live coverage on the euro zone crisis here. On International Women’s Day we celebrate the many milestones on the road to gender equality, and recommit ourselves to fight for the rights and opportunities of women and girls around the world. Empowering women isn’t just the right thing to do – it’s the smart thing to do. When women succeed, nations are more safe, more secure, and more prosperous. Over the last year, we’ve seen women and girls inspiring communities and entire countries to stand up for freedom and justice, and I’m proud of my Administration’s efforts to promote gender equality worldwide. As a nation, we’ve launched new efforts to promote women’s economic empowerment and political participation, to prevent and respond to gender-based violence, and to strengthen our commitment to helping more women participate in peacebuilding and conflict resolution. We are promoting food security initiatives that recognize the rights and needs of women farmers, and ensuring that women and girls are at the center of global health programs. And we will continue to focus on empowering women and girls at home and abroad. In response to North Korea's third nuclear test, the U.N. Security Council voted on Thursday to tighten financial restrictions on Pyongyang and crack down on its attempts to ship and receive banned cargo in breach of U.N. sanctions. The U.S.-drafted resolution, approved unanimously by the 15-nation council, was the product of three weeks of negotiations between the United States and China after North Korea's February 12 test. U.N. Secretary-General Ban Ki-moon, a former South Korean foreign minister, said the resolution "sent an unequivocal message to (North Korea) that the international community will not tolerate its pursuit of nuclear weapons." 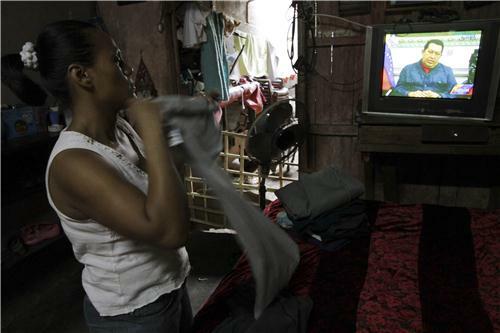 Can "Chavismo" outlast Venezuela's Chavez? wenty years ago, Hugo Chavez launched the most powerful movement in Venezuela's history with an improvised speech of just 90 seconds. Bound for prison after a failed February 4, 1992, coup that was the culmination of years of conspiring within the military, the then-lieutenant colonel was allowed by his captors to address the nation to exhort fellow dissident soldiers to surrender. Over at the Economist, the Americas View blog argues that an election within thirty days is a tall order, both technically and politically for Chavez's allies. 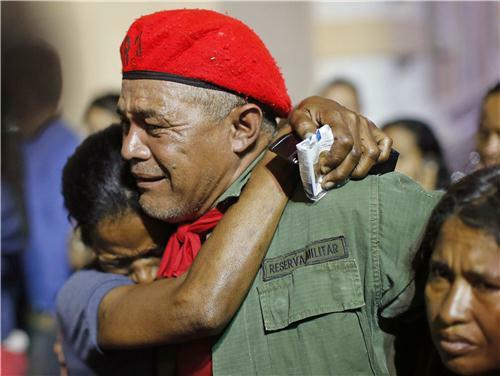 With millions of fervent supporters of Mr Chávez now grieving the loss of their “commander”—some of them heavily armed—the vice-president must know that he is playing with fire. Among his aims is presumably to hold together the heterogeneous coalition behind Mr Chávez’s leadership, by exaggerating the threat from its domestic and external adversaries. Despite their public show of unity, the factions within the “Bolivarian revolution” have different interests and ideologies. But they share the short-term goal of fending off an electoral challenge from an opposition that won 44% of the presidential vote last year. Even with all the benefits of rising oil prices, the average Venezuelan’s standard of living increased by only 9 percent over Chavez’s tenure. Furthermore, the economy became more dependent on oil, which accounted for 96 percent of exports in 2012 compared with 76 percent in 1999. Chavez’s aggressive economic populism seemed new, but at heart it was little more than a Bolivarian twist on the 1940s policies of Argentina’s President Juan Peron. Thanks to the world’s continuing thirst for oil Chavez’s irresponsible economic policies may, like Peron’s, retain popular appeal long after his death. Read more from Reuters Breakingviews columnist Martin Hutchinson here. 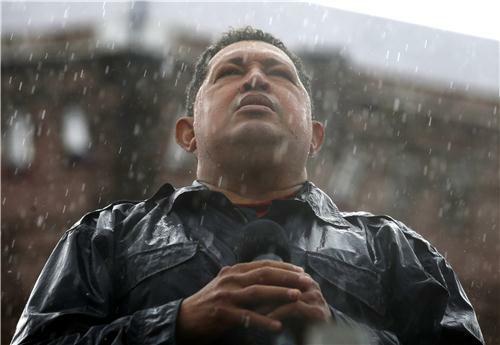 In January, Javier Corrales looked at Chavismo after Chavez over at Foreign Affairs. Eager to emulate him, the revolution's caretakers will follow his lead. Since there are limits to the Chinese market for Venezuelan oil, preserving access to the U.S. oil market will thus remain the unstated goal of the Chavista revolution. Anti-imperialism will live long in Venezuela, but only if it stays true to the conservative variety that Chávez invented. Over at the Guardian, Rory Carroll, the author of a new biography of Hugo Chavez, remembers his life and considers the Venezuela he left behind. Watch the video here. 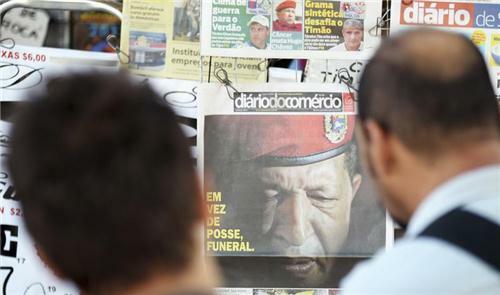 Venezuelans mourned the death of Hugo Chavez and prepared on Wednesday for his body to lie in state as attention turns to a new election to succeed the socialist leader after 14 years of tumultuous and divisive rule. Read more from Daniel Wallis and Andrew Cawthorne here. Allies such as Bolivian President Evo Morales vowed to carry on Chavez's dream of "Bolivarian" unity in the hemisphere, but in Cuba, heavily dependent on Venezuelan aid and oil, people fought back tears when they heard he had lost his battle with cancer. His influence was felt throughout the region from small Caribbean islands to impoverished Nicaragua in Central America, and larger, emerging energy economies such as Ecuador and Bolivia and even South America's heavyweights Brazil and Argentina, where he found favor with left-leaning governments. Without his ideological presence, Venezuela's influence is likely to wane and the pure financial weight of the Brazilian juggernaut could fill the gap in the region's diplomatic realignment. Read more from Jeff Franks here. 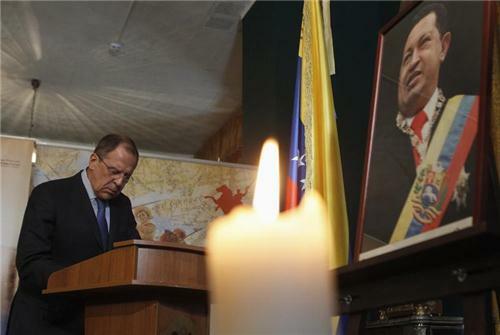 "We're not interested in having a confrontational relationship with Venezuela," a senior U.S. official told Reuters. "We're going to have to see how things evolve. It's a dynamic period." Washington's challenge will be to figure out how far to go in seizing the opening to engage with Venezuelan leaders as well as its political opposition without giving the impression of U.S. meddling following the socialist president's death after a two-year battle with cancer. Read more from Matt Spetalnick here. Chavez's resolute ideological embrace of Cuba helped propel the once isolated communist island back into the center of regional politics, and oil-rich Venezuela's largesse under Chavez proved a life saver for the embargoed and near bankrupt Caribbean island after the collapse of its longtime benefactor, the Soviet Union. Read more from Marc Frank here. READER COMMENT: Where is the live video from? Can you please tell us the location? Caracas? A certain square? Where? ANTHONY DE ROSA: Yes, this is a live video from Caracas. 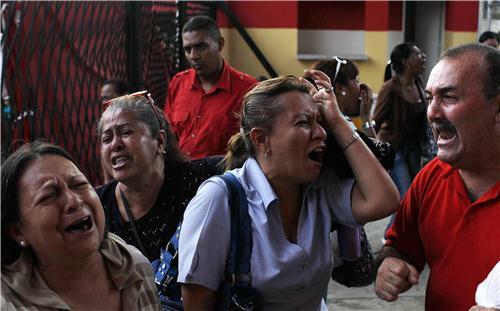 READER COMMENT: Wow...Really amazing photos..They describe how people of Venezuela feel at the moment about losing their leader..
Venezuelan President Hugo Chavez died on Tuesday after 14 years in power, during which he remodeled the OPEC country's oil sector and nationalized foreign-run oil fields. 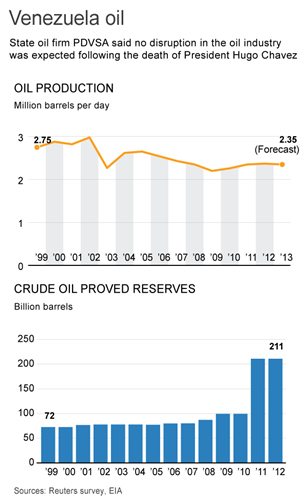 Oil production fell sharply during his era, dropping from some 3.5 million barrels per day when he was elected. After years of decline, Venezuela pumped just 2.34 million barrels per day last month, according to a Reuters survey of analysts who track OPEC output levels. Argentina's President Cristina Fernandez de Kirchner will travel to Venezuela tomorrow, according to daily newspaper The Buenos Aires Herald. 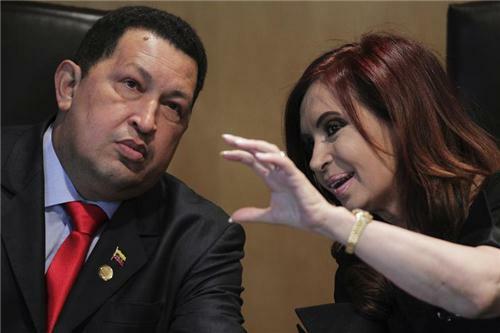 Fernandez and her late husband, the former president of Argentina, both enjoyed a strong relationship with Chavez. 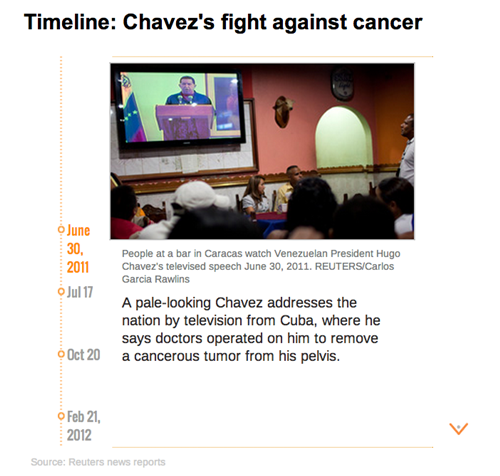 An article published today by Human Rights Watch says Chavez's tenure was marked by an "open disregard for basic human rights guarantees." By his second full term in office, the concentration of power and erosion of human rights protections had given the government free rein to intimidate, censor, and prosecute Venezuelans who criticized the president or thwarted his political agenda. Who is Venezuelan opposition leader Henrique Capriles? * A law graduate, Capriles became Venezuela's youngest legislator at the age of 26, then won the mayorship of a Caracas municipality before beating a die-hard Chavez loyalist, Diosdado Cabello, to the Miranda governor's office in 2008. * Despite his Jewish roots, Capriles is a devout Catholic, who says his faith deepened in jail. He wears a rosary and likes to visit a shrine on Margarita island each year. * The governor is single. He receives a torrent of marriage offers via Twitter and Facebook. He says he will find his wife and start a family in his own good time. * Though describing himself as center-left, Capriles belongs to the more conservative Primero Justicia (First Justice) party which he helped found in 2000. Foes say he is really an "ultra-right" politician, in the pay of Venezuela's pro-U.S. traditional elite, but masquerading as a progressive. Read more from this December 2012 article. The photo referenced earlier in a tweet from Patrick Witty, part of a larger Reuters Photographer's blog by Jorge Silva on Hugo Chavez, chronicling one of the final days Hugo Chavez would spend among a mass audience of Venezuelans. "The lord of war is Donald Rumsfeld, one of the dogs of the devil." "Israel criticizes Hitler a lot, so do we, but they've done something very similar, even worse, than what the Nazis did." "I think we are suffering from political impotence. We need political Viagra." "You are an imperialist pawn. ... Go straight to hell." Read the full Reuters article for more. 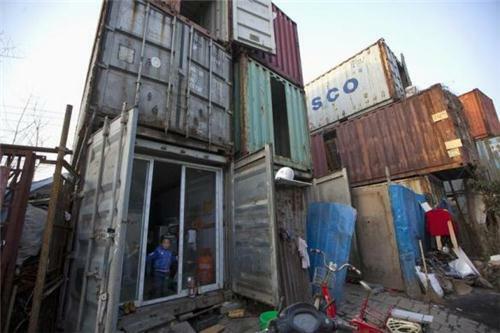 A child stands at the door of a shipping container serving as his accommodation, in Shanghai, March 4, 2013. 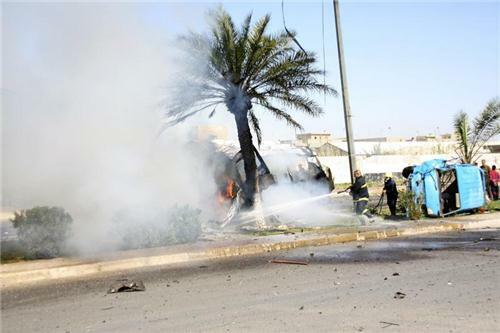 A suicide bomber in a car killed at least five policemen and wounded 12 people, including civilians, on Monday in Iraq's northern city of Mosul, police and medics said. 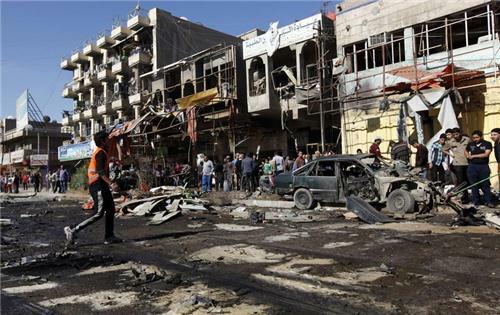 It was not immediately clear who carried out the attack but suicide bombings are the hallmark of al Qaeda's local wing, the Islamic State of Iraq, which aims to take back ground lost to the Iraqi security forces.